Read about our children's vision care, treatment of eye diseases and comprehensive eye exams in Camp Pendleton, and the surround areas of Oceanside, Carlsbad, CA. Vision Center Aboard Camp Pendleton serves patients from California's, Camp Pendleton, Oceanside, Vista, Carlsbad and Dana Point. 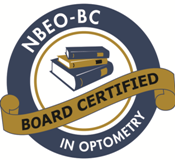 For top quality eye care, by professional local optometrists - schedule an appointment with us today for your next eye exam, contact lenses or eyewear fitting. If you have a moment, please give us your feedback about our site and your experiences with our eye doctors in Camp Pendleton, CA.